The Biology of the Lion King: Lions and tigers and...small African wild cats? The cheetah was the cat of the hour at the sanctuary we visited last week. 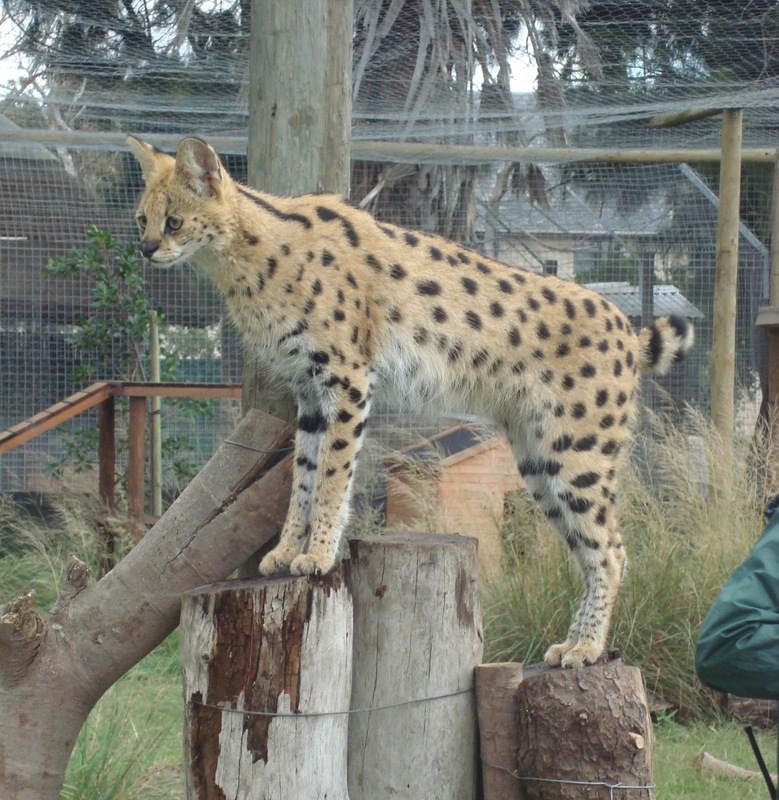 But just off to the side were two very different species of cat: the serval and the caracal. I had heard of them, but they never really came to mind when I thought about African wildlife. They are smaller and less flashy than the cheetah and the other big cats, and many people on the trip had never heard of them before. 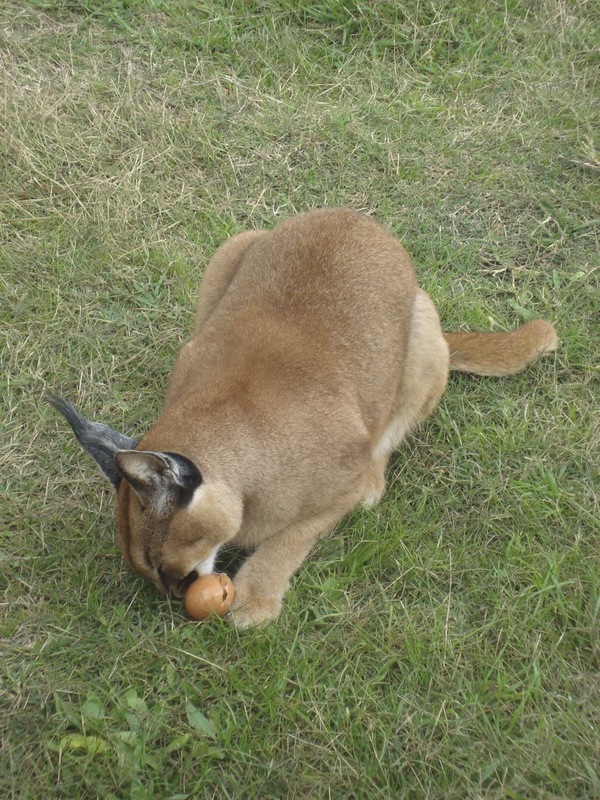 Caracal eating an egg at Cheetah Outreach. The African golden cat is the only member of the genus Profelis but closely related to the caracal and serval. It is endemic to Central and West Africa rainforests. It is are generally golden colored, but ranges from reddish to grayish tones. There are two subspecies and they have different spot patterns. The African golden cat is extremely reclusive and generally nocturnal, and little is known about its behavior. It is regularly bred in captivity, but captive behavior is not thought to represent that in the wild. The genus is thought to be near threatened. The black-footed cat is the smallest African cat, weighing about 4 pounds on average and no more than 5.5 pounds. It is in the genus Felis, which also contains the common domestic cat. The black-footed cat is endemic to the arid regions of southern African like the South African Karoo (which we visited en route to the Garden Route!). Like the African golden cat, it is not well studied because it is nocturnal and solitary, making it difficult to find. It is thought to be a vulnerable species. It is also adorable and looks like my cat Molly crossed with a tiny cheetah. I always thought the term "wildcat" was used to differentiate domestic cats from wild ones. But no, it turns out there is an actual species colloquially known as the wildcat. There are 22 recognized subspecies as of 2005, and there are spread throughout Europe, Asia, and Africa. The most common African subspecies are Felis lybica, found across Africa north of the Sahel, and Felis cafra, found all over Africa south of the Sahel. 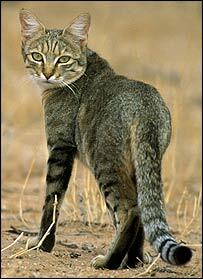 They are very similar; both are called African wildcats, are small, and look rather, well, cat-like in appearance. This similarity makes sense because genetic, archaeological, and morphological evidence suggest that the housecat was domesticated from the African wildcat in the Fertile Crescent region of Asia 9,000-10,000 years ago. 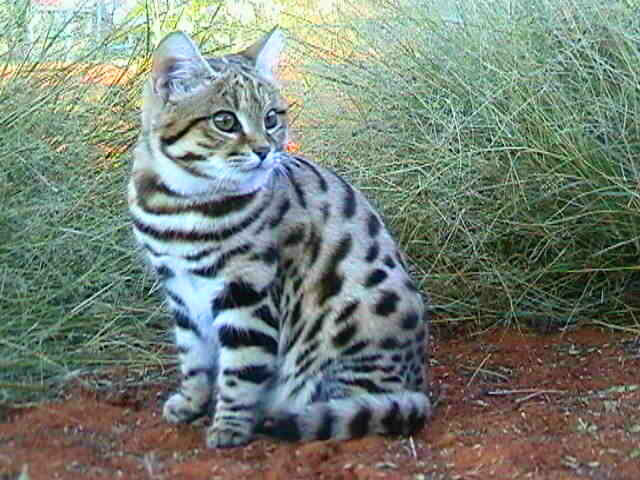 Wildcats of all subspecies regularly interbreed with domestic cats across their ranges. These species may not be portrayed in The Lion King, but they're pretty cool. Just goes to show that the media only gives us a small slice of the true diversity of African wildlife.